1. 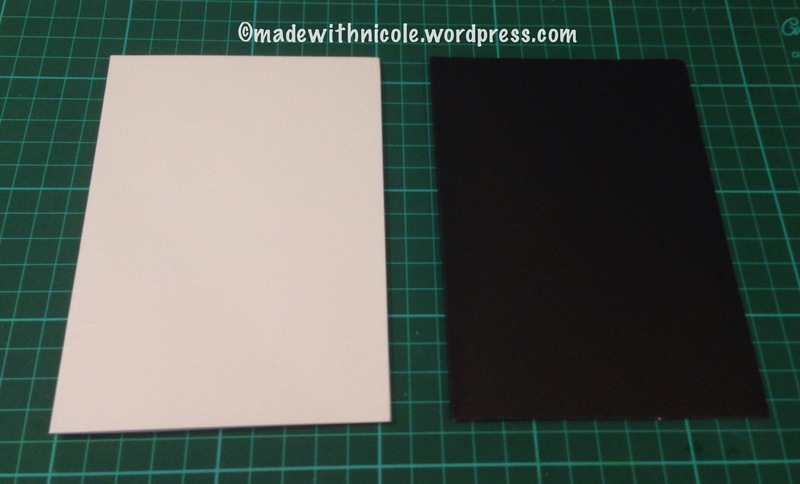 Start with 2 cards (1 black and 1 white) of the same size. 2. 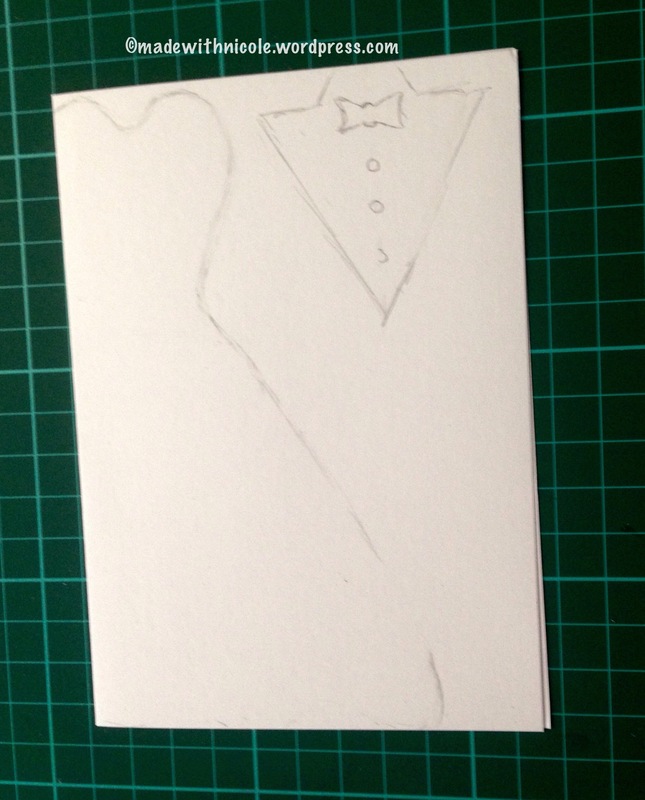 Draw the wedding dress and shirt shape on the white card. 3. 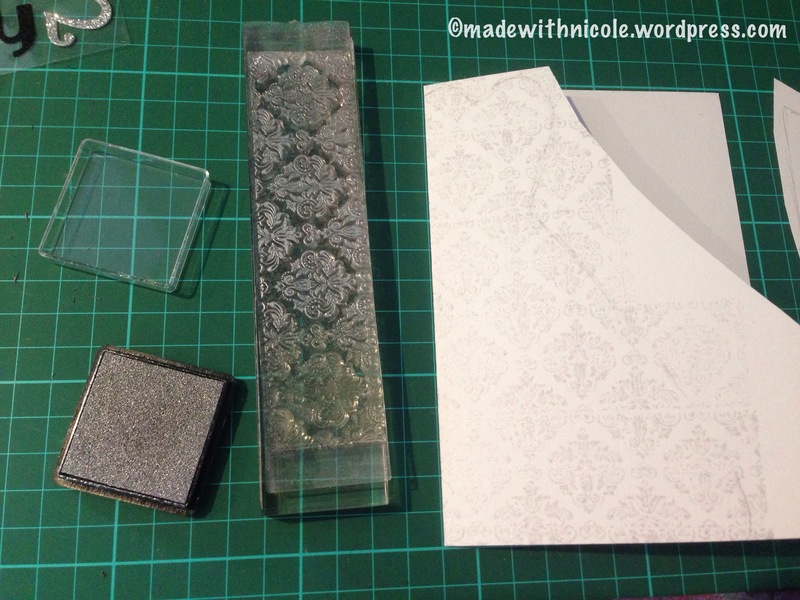 Cut off the shirt section and stamp the dress with a silver patterned stamp. 4. 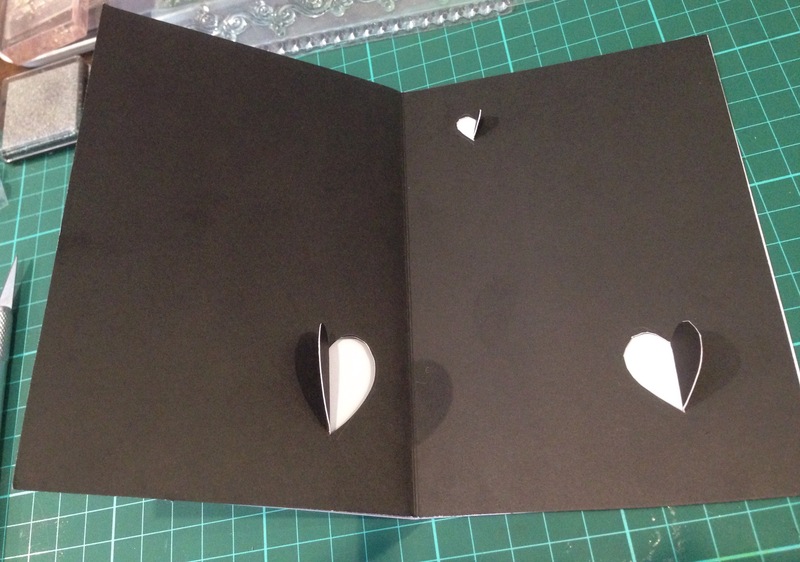 Draw one side of a heart shape on 3 areas of the black card and cut out with a craft knife. 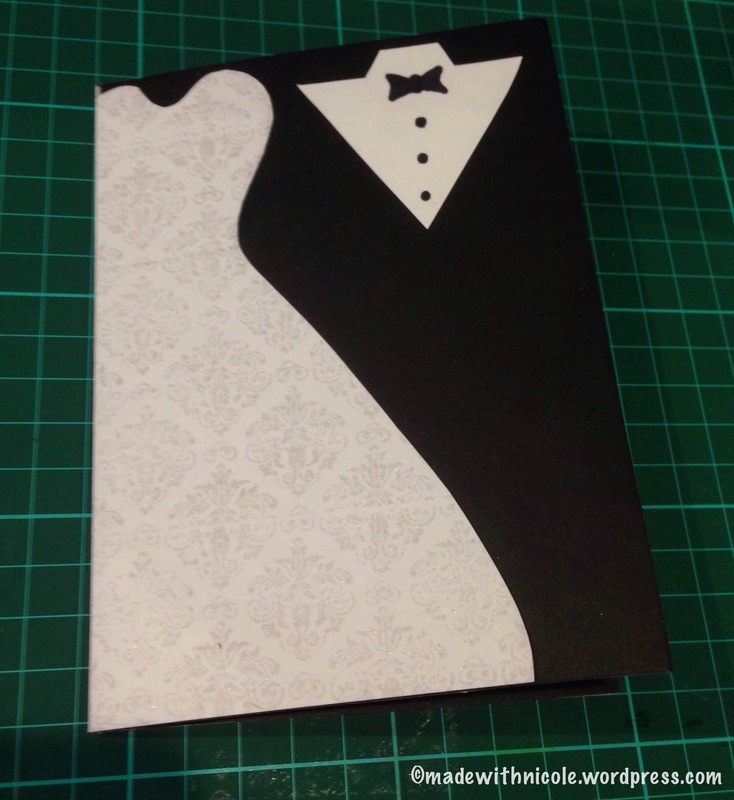 Make sure the heart on the left hand side of the card will have the back of the dress behind it. 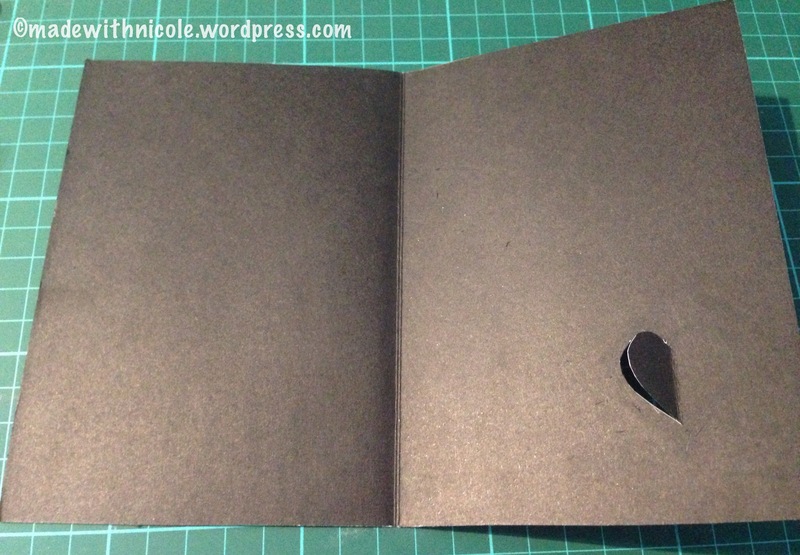 Fold back the cut out parts to make a heart shape. 5. Cut out the shirt. 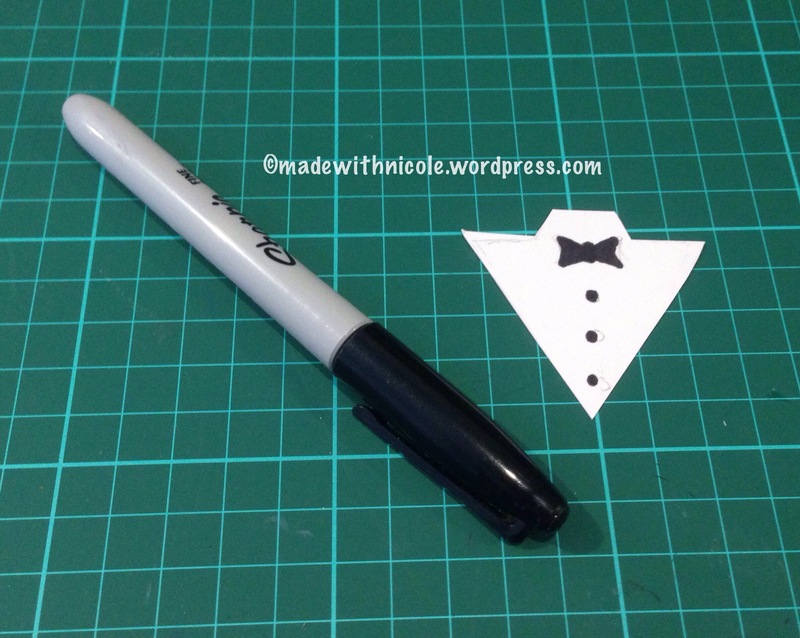 Use a black marker to draw a bow tie and buttons on the front of the shirt. 6. Cut out the dress and glue all of the pieces together. 7. 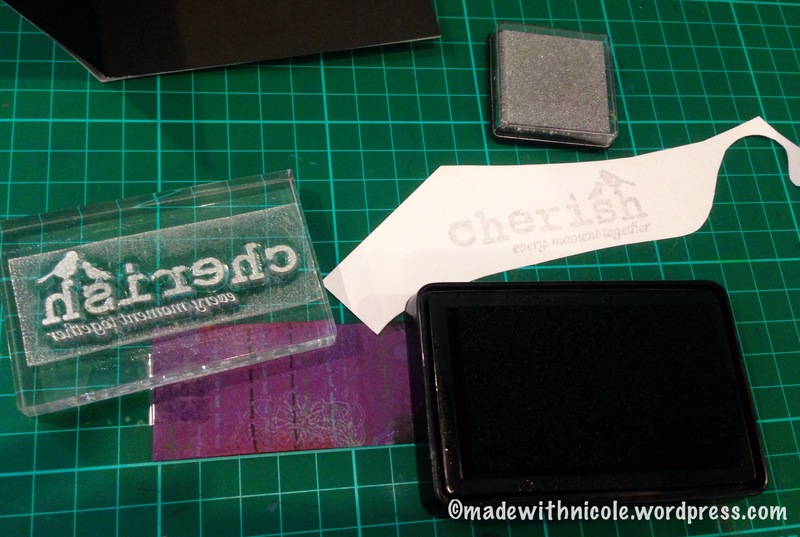 Use the scrap pieces of white card to stamp a message on. 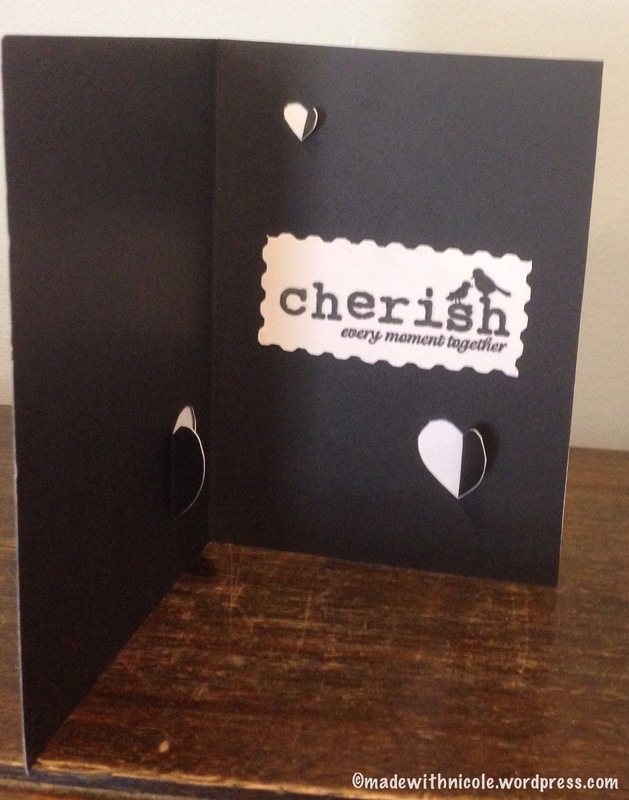 I stamped the card with sliver first then black over the top to create a shadow effect. 8. 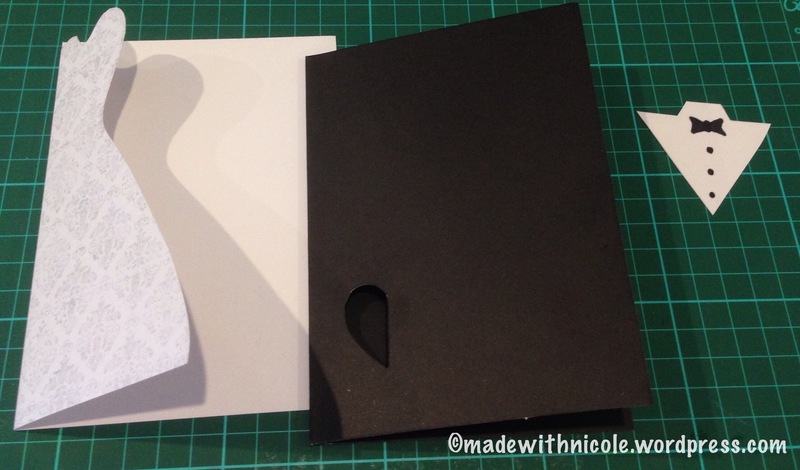 Cut out the message and glue inside the card. I used patterned scissors. 9. 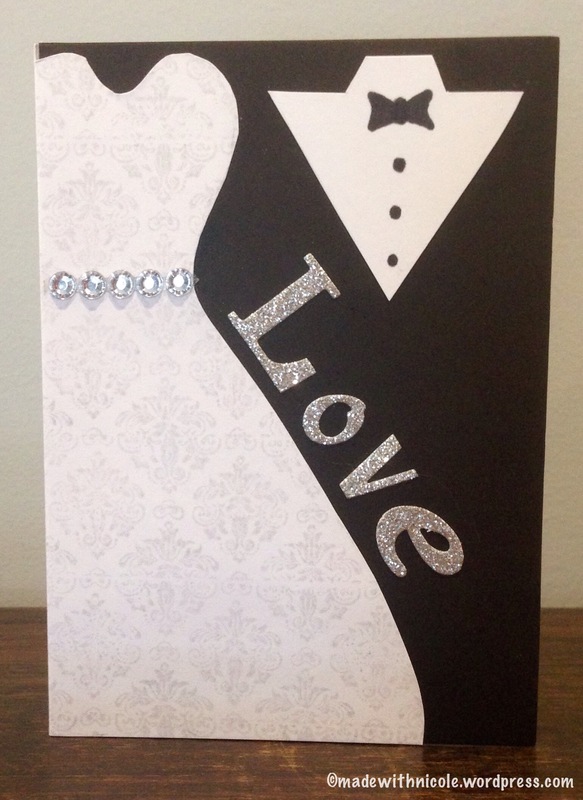 Stick the diamantés and letter stickers on the front of the card.